Decide where you will fly on your private helicopter tour. Maybe this is your home, or a park where you proposed to your significant other, or take your child to see their school from above. The possibilities are endless and the coordination couldn’t be simpler. Private, custom tours are great as gifts. They are amazing experiences and also show unique character by offering a personalized destination. If you have friends or relatives living in the greater Portland area, this is a superb opportunity to give an unforgettable and unexpected present. Provide them a perspective of their favorite spot that most locals have never had. Use our interactive map below to find the location you want to visit. If the location is within one of the rings drawn on the map then the single flat rate ring price applies. 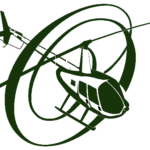 You will get the private use of a helicopter to visit your special location from above. Up to 3 passengers can fly for a single price. These tours are designed to take you and your guests from Portland's Downtown Heliport to visit your location of choice from the air. Only you and your guests will be on board. Up to 3 people can fly together (see weight limits in FAQ's below). Flat, single pricing to fly wherever you'd like based on ring color. See ring pricing below. 1. Zoom in as needed to find the location to visit. 2. Note ring color location is within. 3. Check out with corresponding “Book Now” color. NOTE: Some locations to the west of Portland may be closer to Hillsboro Airport. To view custom, private tours departing from our Hillsboro location, click here. Will my custom tour be private? Yes, all custom tours are private and you can decide who flies (up to 3 total passengers). Do I need to pay more for additional passengers? No, the price is set for the complete use of the helicopter privately and does not depend on number of passengers. I want to book your custom tour for a special occasion, can I order chocolates and roses in the helicopter like you do with your Romantic Tours? Absolutely, during checkout you will have the option to add chocolates and roses for an additional price. We will ensure they are waiting in the helicopter when you and your guest arrive. How do I specify the location I want to fly to? During checkout you will need to indicate the location either by using a commonly identifiable name (e.g. Beaverton High School) or by giving a specific address. What if my location is outside of your widest ring? Please call or write for a custom quote. What is the weight limit for the passengers? The weight limit for all passengers combined is 600 lbs. What is the flight time for each tour? The tour flight times are as follows: Green Ring – 10 minutes. Pink Ring – 15 minutes. Blue Ring – 20 minutes. Purple Ring – 30 minutes. Can I visit multiple locations on the custom tour? That depends. The tours are designed to allow time to fly to a single location, take pictures, and return. However if there is sufficient time available we may be able to visit additional locations during the tour. Of course you will always have a tremendous view of the surroundings going to and from your chosen location. What if my location is on the west side of Portland and closer to Hillsboro Airport than the Portland Heliport? We do custom tours out of both the Portland and Hillsboro locations. If your location is closer to Hillsboro than Portland you may be able to book your tour out of Hillsboro Airport and pay less. See the Hillsboro custom tour page here.